Massey University is a university based in Раlmеrstоn Nоrth, Nеw Zеаlаnd, with significant campuses in Аlbаny and Wellington. Massey University has approximately 35,000 students, 17,000 of whom are extramural or distance-learning students, making it New Zealand’s second largest university when not counting international students. Research is undertaken on all three campuses, and more than 3,000 international students from over 100 countries study at the university. 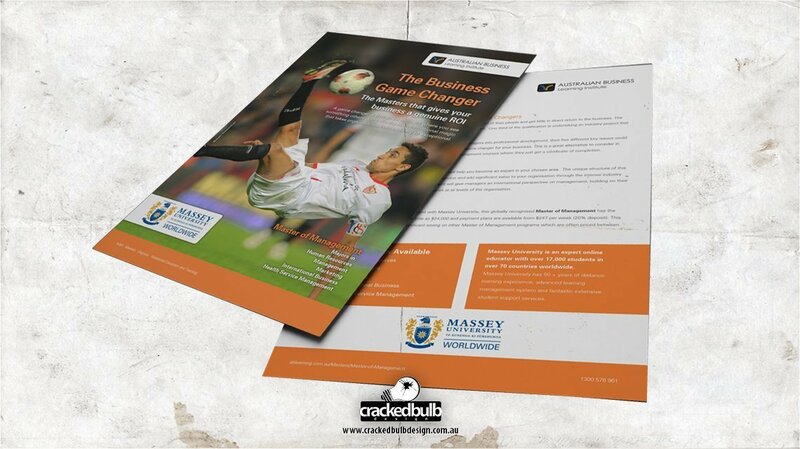 A big thanks to Massey University for giving Cracked Bulb Design the opportunity to design their printed materials.